As mentioned previously, I like donairs. I eagerly await the opening of a donair shop and I make my own from scratch. So when a Twitter follower told me he had found donairs in Whitehorse, I had to check it out. The first time I tried going there, it was closed. I am really good at wanting food on Sundays – and more than six months into living in Whitehorse, I still get caught by most places being closed. 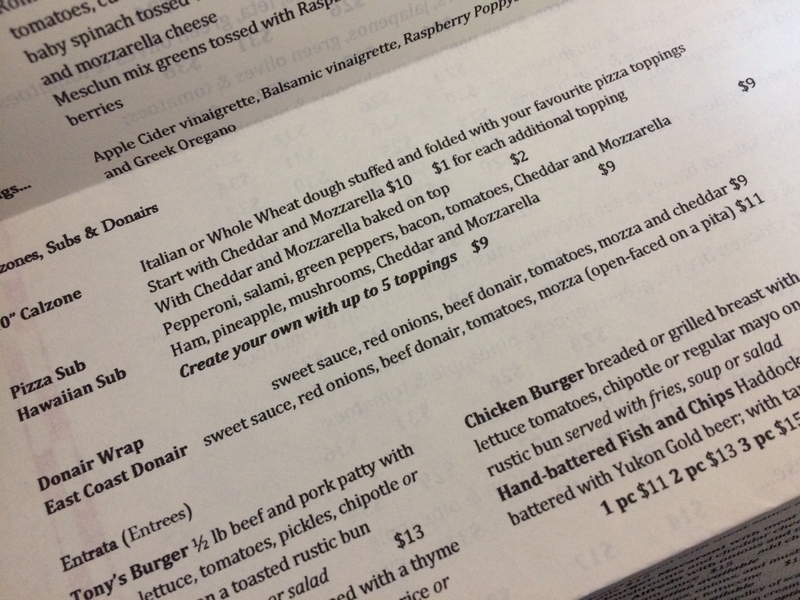 Anyways, I ended up there for lunch and the menu has two donair options: The donair wrap and the East Coast donair. Normally, I would go for the East Coast donair, but upon looking at the description on the menu, it appeared to be an open-face donair, or like a donair platter. I opted for the wrap. First, I want to say that what I got was tasty and I ate it with pleasure. But it wasn’t what I think of when I want a donair. As far as I could tell, it came in a tortilla, not a pita. Though I could be wrong, it was just pressed so thin, until it was toasted and essentially grilled shut. Inside, the meat seemed adequate, though sliced very thin, no chunks like it just came off the rotisserie. There weren’t a lot of tomatoes or onions, though they may have been lost in the pressing of the wrap or the cheese. Now I’m about to say something that I will probably never say again, but there was too much cheese. I’ve had cheese donairs before but this was the cheesiest. And maybe the 10 minutes to take it home let it cool just too much so that it just solidified enough to stick together… But it was a lot of cheese. As for the sauce, it was served on the side with more than enough for a donair of that size. It tasted very much like the one I had made. Overall, it was good, just not authentic. Likelihood of return visit: Moderate – I suppose if I’m trying to find Whitehorse’s best pizza, that will need to be tried. Recommended dish: Maybe the East Coast donair? 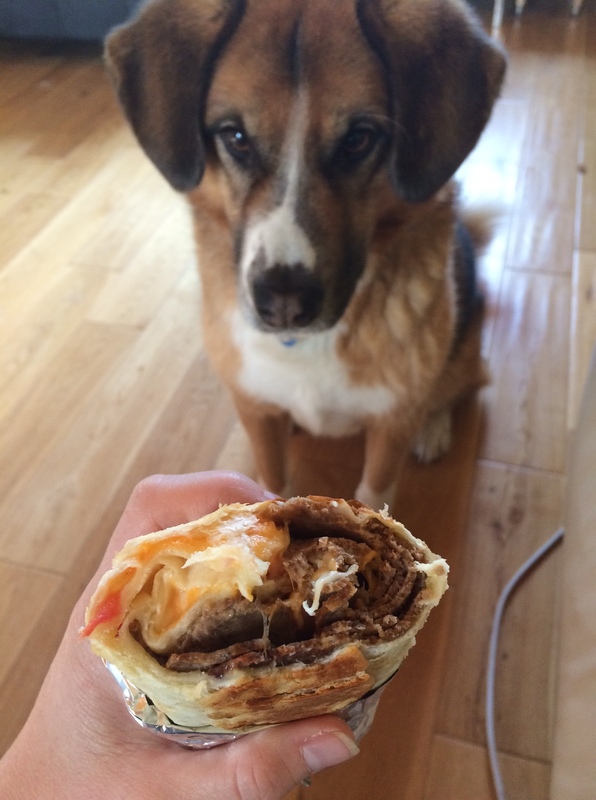 Posted in Visit and tagged Donair, Lunch, Pizza, Take out, Visit, Whitehorse, Wrap. Bookmark the permalink. 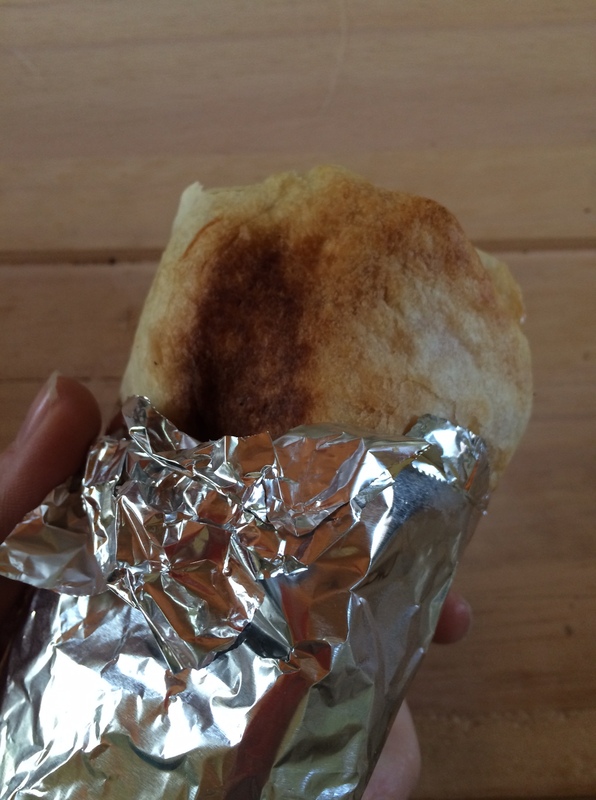 They do a giros rather than a donair, but have you had a chance to try the drunken goat up in Dawson yet? It’s genuinely excellent!